Problem – the Chevy Volt isn’t selling like it should. 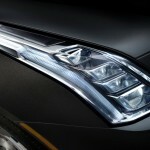 Solution – re-skin the Volt and call it a Cadillac. That’s what some people think General Motors is up to… take a Chevy Volt, give it a new skin and rebadge it as a Cadillac ELR. Thankfully it appears the ELR is more different from the Volt than similar. The least of the differences between the Volt and the ELR starts with the doors. The ELR is a two door, the Volt is a four door. While the door change is minor (I don’t think most people are buying the Volt for its passenger capacity) it helps the ELR make the transition from good looking to beautiful. This may be the best looking Cadillac ever. Still, if the change from four doors to two is the only thing Cadillac did to change the Volt GM would be making the same mistake they made in the 80’s when they took a Chevy Cavalier, gussied it up and rebadged it as a Cadillac Cimmaron. Cadillac learned a hard lesson with the Cimmaron (a vehicle they are still trying to live down), the ELR is more than a tricked out Volt. Actually, the ELR is probably the car the Volt should have been all along. The Volt never should have been sold by Chevy – with the exception of the Corvette – Chevy is GM’s mass-market brand. Because of its new technology the Volt should have been a Cadillac from the beginning. People tend to forget that in its early days Cadillac forged it’s reputation on being GM’s technology leader… new technology always came to Cadillac first and was then passed on to other GM brands. The first electric starter was in a Cadillac. The first automatic transmission was in a Cadillac. The ELR’s differences from the Volt are more than skin deep. To start with the ELR has 207 horsepower and 295 foot-pounds of torque driving 20” wheels – The Volt has only 149 horsepower and 273 foot-pounds of torque on 17” wheels. It’s estimated the ELR will be at least a full second faster than the Volt on the 0-60 run but only 300 pounds heavier. There is a very slight takeaway for the performance boost, the ELR is rated at only 35 miles per charge compared to the Volt’s 37. Also, the ELR is a longer, wider car than the Volt and has a longer wheelbase. The ELR also differs from the Volt in it’s steering mechanisms. The ELR has different strut front corners and uses a new cross-car brace system to connect the lower control arms. What this technical jibber-jabber adds up to is a smoother, better controlled ride than the Volt. 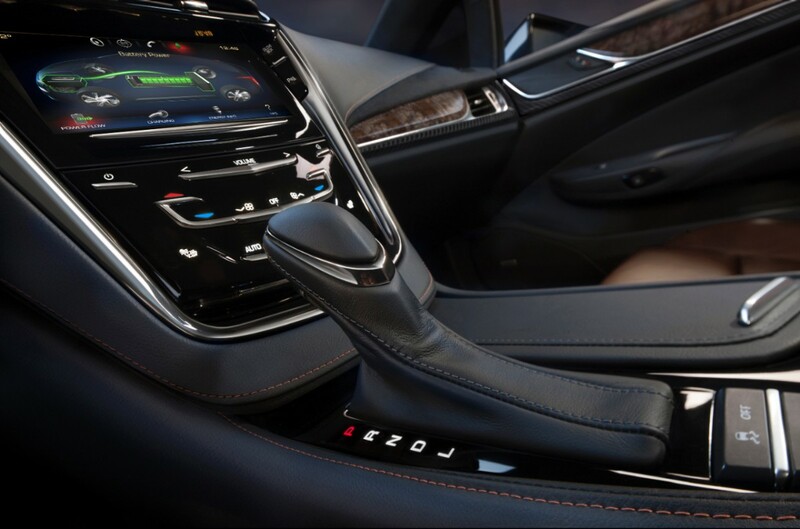 For people who like taking corners fast, the ELR adds paddle shifters which, when pressed, add more regenerative braking than shifting the car into Low. 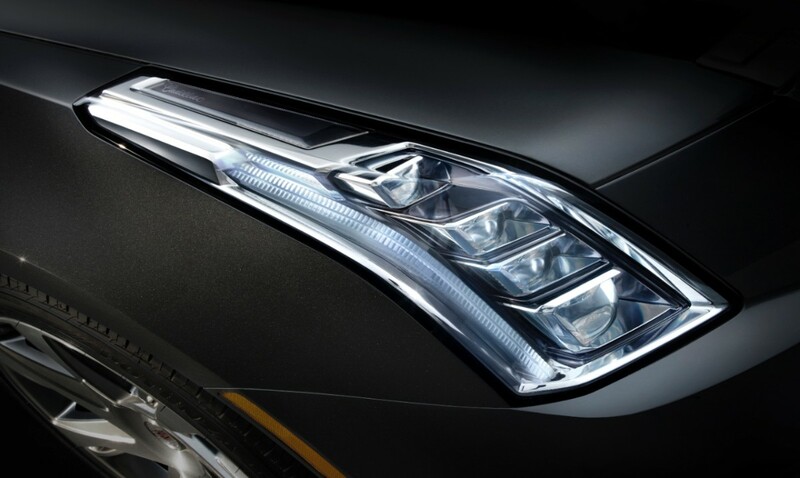 Even little touches such as LED headlights differentiate the ELR from the Volt. 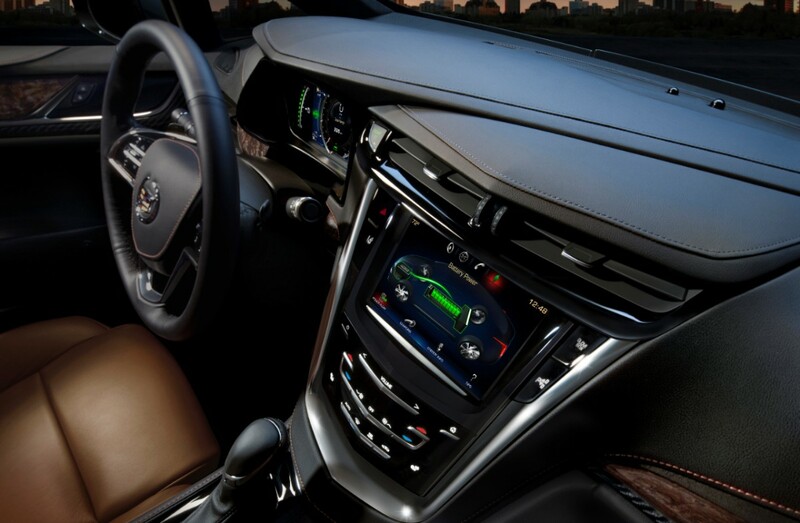 The interior of the Cadillac is, as you would expect, significantly more luxurious than even the most expensive Volt. The doors have soft leather inserts where the Volt has hard plastic. 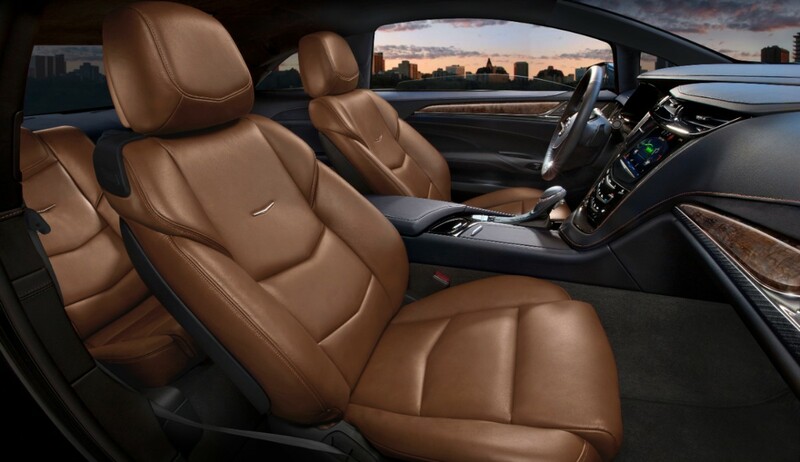 According to cars.com the optional Opus semi-aniline leather seats feel better than most expensive leather furniture. That would also be an improvement over the Volt’s firm, but not uncomfortable, leather seats. Of course there is some bad news. 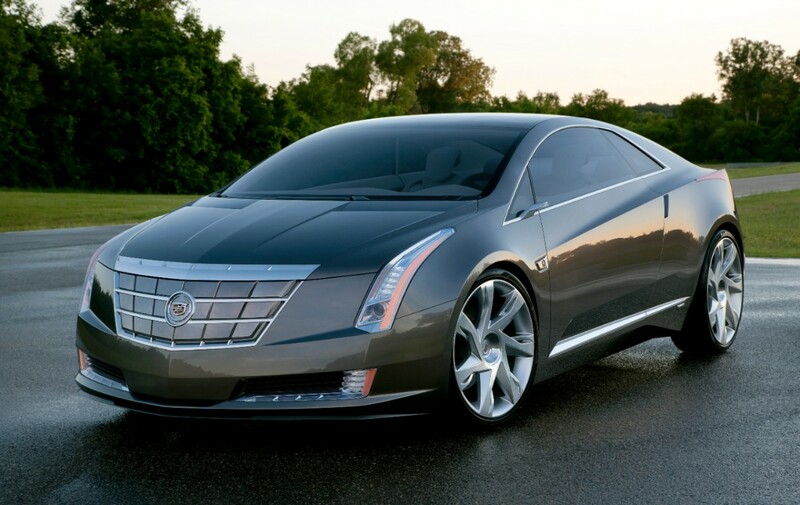 The first is the ELR uses Cadillac’s CUE voice activated control system. 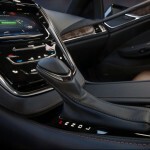 When it comes to voice activated controls General Motors could really learn from Ford. Not that Ford’s system is perfect, it’s just much better than anyone else’s. Also, the interior is a little smaller because the roof line is almost an inch lower than the Volt’s plus the back seats are narrower. 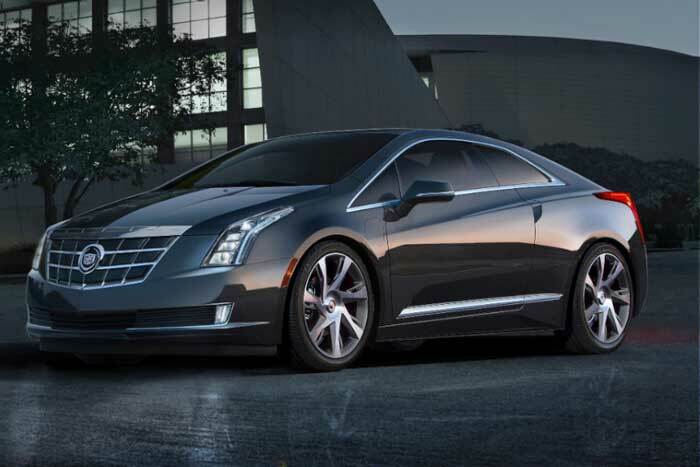 Unless the price is completely out of hand, it looks like Cadillac has a winner with the ELR. It’s just plain beautiful inside and outside, plus it has the power, seats and handling to be a joy to drive. I can’t wait to test drive it.